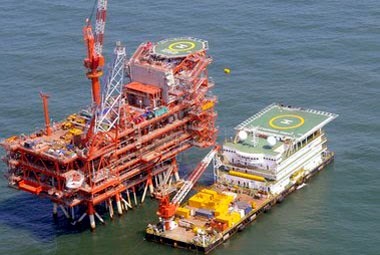 THE Cabinet has changed pre-1999 oil and gas contracts to provide for proportionate sharing of statutory levies like royalty and cess among the operators of an area, and not put the entire burden on state-owned ONGC. gas produced from areas in the northeastern region, petroleum minister Dharmendra Pradhan told reporters in New Delhi. Besides, income tax benefits have now been extended to all the 28 oil and gas fields awarded before the advent of the New Exploration Licensing Policy (NELP) in 1999. These decisions would unlock investments and boost oil and gas production, Pradhan said. The government, he said, had awarded some discovered oil and gas fields to private firms in the 1990s with a view to attracting investments in the country. To incentivise such investments, the liability of payment of statutory levies like royalty and cess was placed on state-owned firms, which were made licensees of the blocks. ONGC and Oil India Ltd were allowed to take interest of 30-40 percent in the fields, but were liable to pay 100 percent of the statutory levies. This, Pradhan said, led to fresh investments being stalled as the state-owned firms were not keen on incurring bigger liabilities. To correct this, the CCEA has decided that “statutory levies, including royalty and cess, will now be shared in proportion to the participating interest of the contractor in pre-NELP exploration blocks”, he said and added that this would affect seven such fields. Also, the levy has been made cost recoverable with prospective effect. Like capital and operating expense, the statutory levies can now be first recovered from the sale of hydrocarbons before sharing profits with the government. These are the conditions that ONGC had insisted upon in 2010 when Vedanta bought Cairn Energy’s 70% stake in the Barmer basin oil block in Rajasthan. ONGC, which held a 30% stake in the block, gave its approval to the deal only after Vedanta agreed to pay its share of royalty and cess. The royalty for an on-land block is 20%. An equivalent amount of cess is also levied.